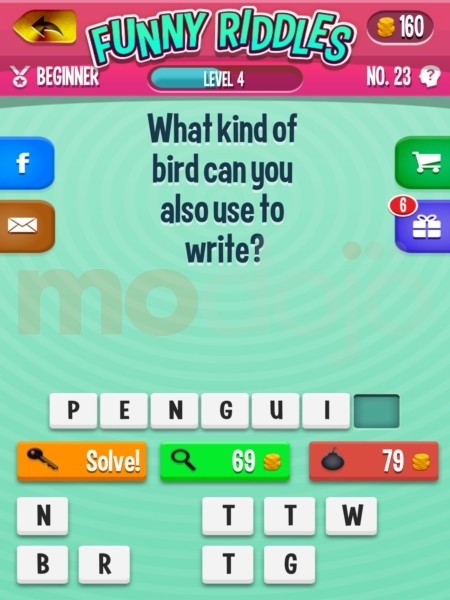 We continue our walkthrough for Funny Riddles with another set of puzzle solutions. 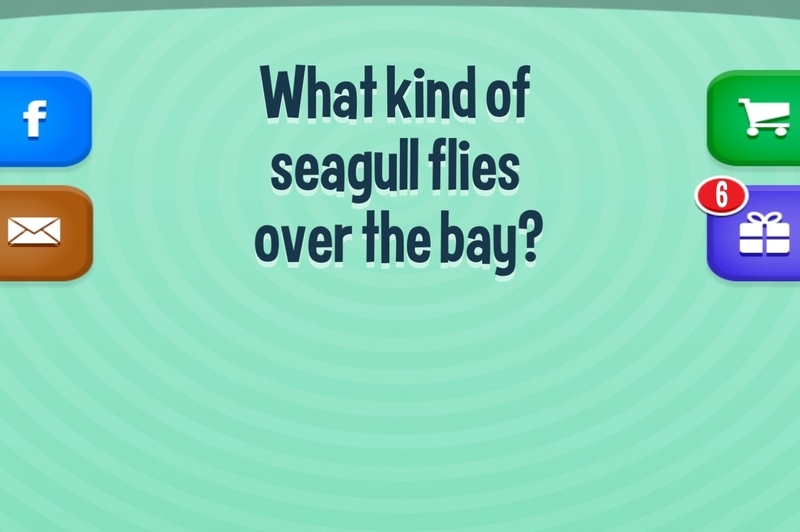 What kind of seagull flies over the bay? 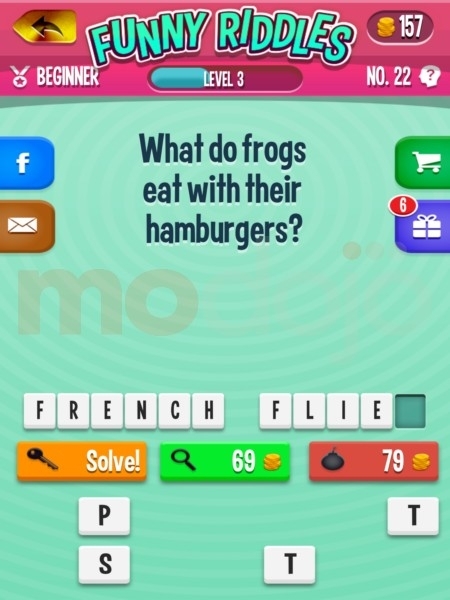 What do frogs eat with their hamburgers? 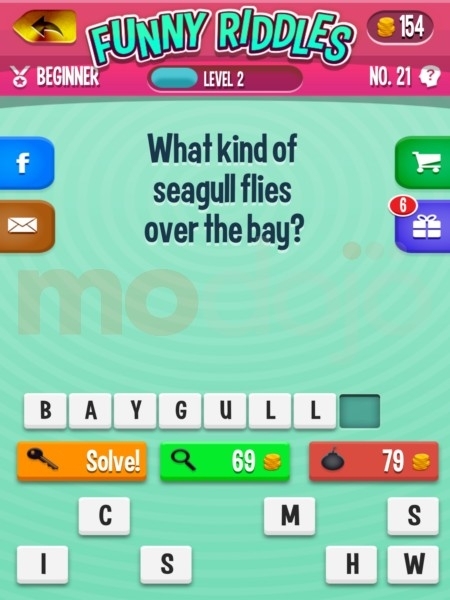 What kind of bird can you also use to write? 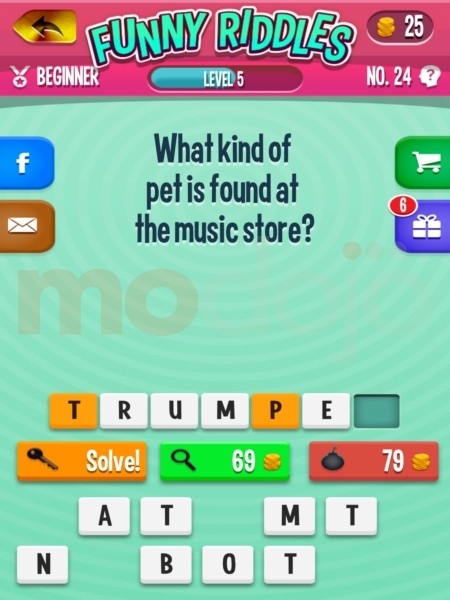 What kind of pet is found at the music store? 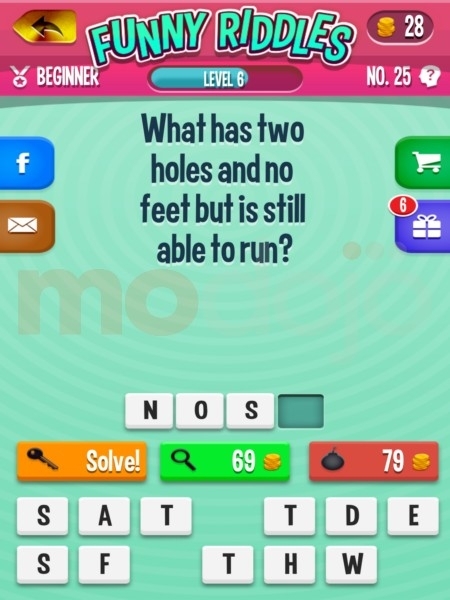 What has two holes and no feet but is still able to run? 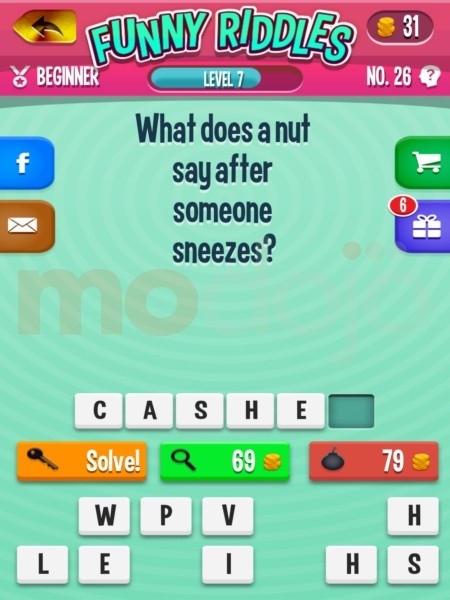 What does a nut say after someone sneezes? 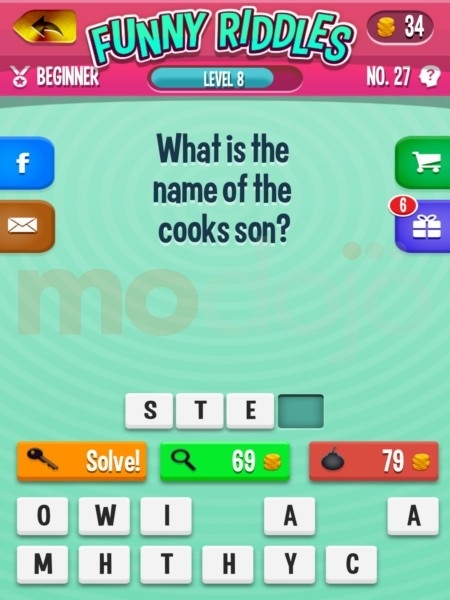 What is the name of the cook's son? 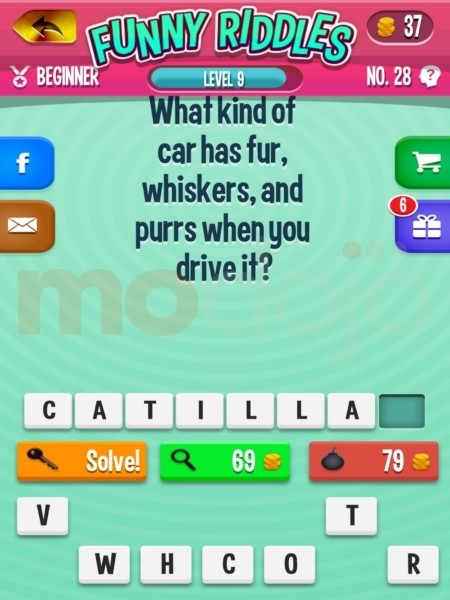 What kind of car has fur, whiskers, and purrs when you drive it? 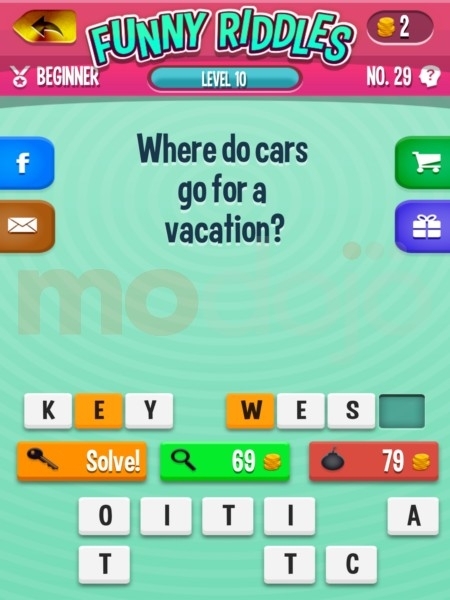 Where do cars go for a vacation? 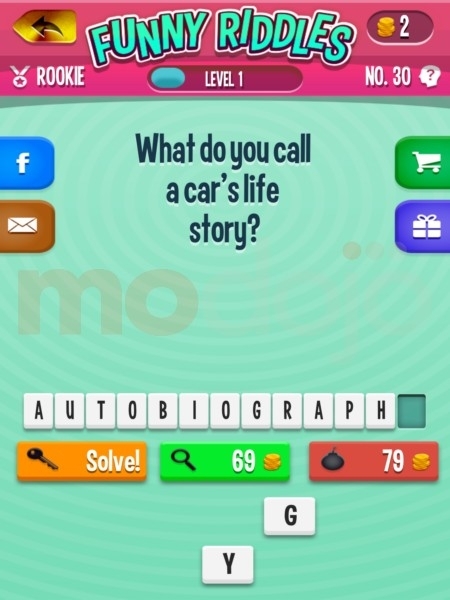 What do you call a car's life story?